Annette Gordon-Reed is a professor of law at New York Law School and a professor of history at Rutgers University. She is the author of Thomas Jefferson and Sally Hemings: An American Controversy, editor of Race On Trial: Law and Justice in American History, and coauthor with Vernon Jordan of Vernon Can Read: A Memoir. Professor Gordon-Reed, who grew up in still-segregated east Texas, became interested in Jefferson in elementary school after reading a children’s biography of him, narrated by a fictional slave boy. At 14, she joined the Book-of-the-Month Club (concealing her status as a minor) to receive Fawn Brodie’s biography, Thomas Jefferson: An Intimate Portrait. 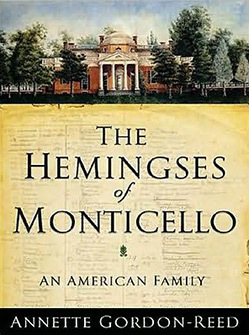 She continued her study of Jefferson’s life at Dartmouth College, where she majored in History, graduating in 1981. She attended Harvard Law School, where she was a member of the Law Review. Professor Gordon-Reed spent her early career as an associate at Cahill Gordon & Reindel, and as Counsel to the New York City Board of Corrections. She speaks or moderates at numerous conferences across the country on history and law-related topics. She lives in Manhattan with her husband, daughter, and son. What Were Your Thoughts On President Obama's Second Inaugural Address?